High quality, professional videos can really help creative businesses to ‘pitch’ their ideas more effectively to investors, customers and clients. Whether for a crowd-funding platform, presentation to potential customers or investors, your stand at an event or your website, good quality video allows you to ‘pitch’ your products, services and ideas in a way that really makes an impact. ‘a creative momentum project’ is developing a new Video Pitching Toolkit (VPT) to help. The Toolkit will guide all types of creative enterprises – Arts, Crafts, Design and Media & Technology – on how to develop an effective 1-2 minute ‘pitch’ video for their business, products, services or ideas. It’s aimed at those who may just be starting out or have already some experience but would like to do it better. The Toolkit will be available shortly on MyCreativeEdge.eu. 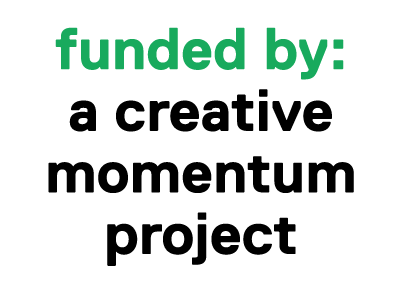 To demonstrate the Toolkit, ‘a creative momentum project’ will provide financial support (50% of total costs up to max. €1,500) to a number (10-15) of creative enterprises (from Northern Finland, South East of Northern Ireland and West of Ireland) to produce a ‘pitch’ video. The call for applications from creative enterprises will open in early May. As one of the most important first steps is picking the right video production company, before we select the creative enterprises to be supported, we need to create a video production company pool/panel. The creative enterprises that we select to support, will then pick video production companies from the company pool/panel who’ll be asked to submit a price for the project. As an example, here’s a ‘pitch’ video made for 3D designer and entrepreneur Zoltàn Fodor who pitches himself and his 3D visualisation company Urbanid based in Finland. It was filmed in a SmartSet low cost virtual studio at Lapland University of Applied Sciences to show a cost effective way to produce pitching/promotional video. There are lots of options on how you can make a ‘pitch’ video. We are now seeking expressions of interest from video production companies to be included on a video production company pool/panel. When creative enterprises are selected to receive support, they must select from among the video production companies included in this company pool/panel. To be included on the pool/panel, video production companies must publish a Profile on MyCreativeEdge.eu and the creative enterprises will review these Profiles to help pick who they’d like to work with. For now, we are seeking some basic information from video production companies about the services they offer. Later, if selected by a creative enterprise, the company will be asked to submit a price based on specific job details. A video production company may be selected to undertake more than one video ‘pitch’ project.